Think you need an SLR to capture pro-quality images? Think again. Think Leica D-Lux 3. 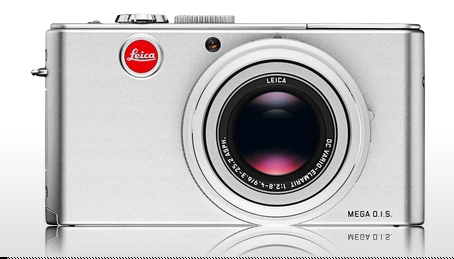 The little power-house, with its high quality optics, 10-megapixel sensor and custom settings, can rival most SLRs. Better yet, it’s so compact, that I won’t leave home without it. The D-Lux 3 is more than your average point-and-shoot. It’s a compact camera with controls like those on my professional SLRs. With focal lengths from 28 to 112 millimeters (F2.8 - F8.0), auto and manual focusing, image stabilization for shake-free pictures, and file formats from simple Jpeg to QuickTime movies and RAW for optimum image quality, it’s a pocket-sized performer. A powerful compact camera choice for those who want the creative features of an SLR - including manual setting options, metering and exposure options, RAW file support - without the bulk. 1. Despite a bright, large 2.8-inch LCD display, it needs a viewfinder. Composing in bright sunlight is challenging without one. *For travel-tested results, click here to view photos produced on a walking tour in France with The Wayfarers. A good number of those images were shot with the D-Lux 3.